The Plan de Corones is considered the # 1 among all ski areas in South Tyrol. 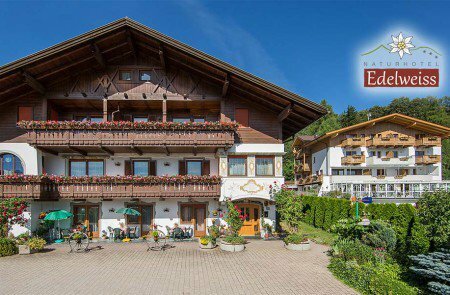 Our Nature Hotel Edelweiss is located very close by. To reach the Plan de Corones from our ski hotel, you may simply use the free shuttle bus. We can also drive you to Plan de Corones with our hotel shuttle and pick you up when you are done for the day. This transfer service is free of charge for all our guests. At the mountain peak, ski fans will have a breath-taking view over the sunny slopes. The ski paradise offers 31 modern ski lifts, as well as 110 km perfectly maintained ski slopes. The mountain is situated between Brunico, Valdaora and S. Vigilio. 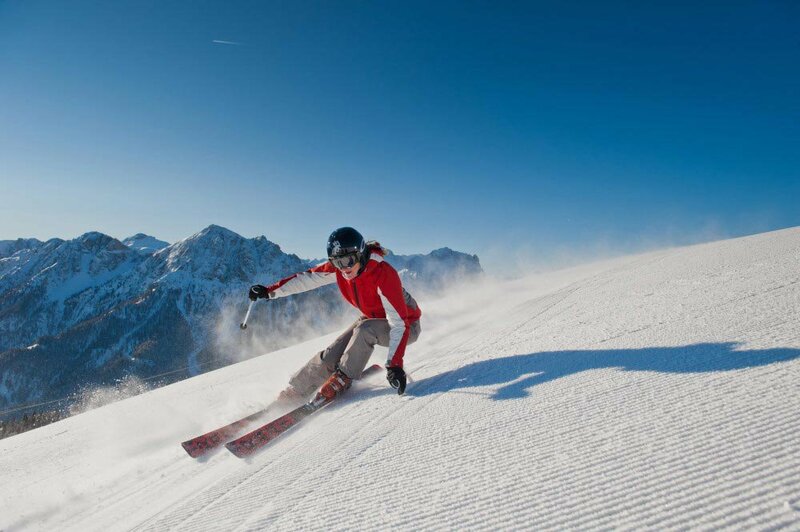 It is part of the Dolomiti Superski Carrousel and offers a great variety of different slopes. Beginners and experts alike will find the perfect skiing conditions. From easy up to highest difficulty level – this place has it all! In the snow park – the biggest in South Tyrol – snow boarders and freestylers will enjoy every second! Do want to learn how to ski, however, without leaving the village? No problem! 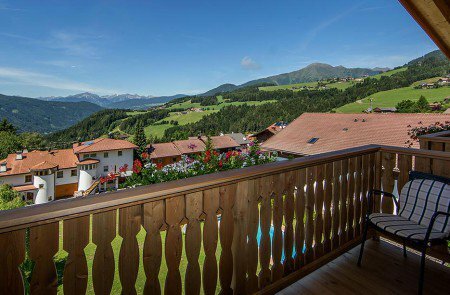 Only two walking minutes away from our Nature Hotel Edelweiss you will find the picturesque Panorama Ski Lift Terento. Here, the friendly skiing instructors of the professional ski and snow board school will happily share their knowledge with you and introduce you to the fascinating world of winter sports. Also children are more than welcome and can safely make their first experiences on the ski conveyor belt. The newly acquired skills can then be put to the test on the perfectly maintained ski slopes! Also beginners will have plenty of fun! Those who do not feel too comfortable on skis just yet, can easily learn all the skills and techniques in one of the many ski and snowboard schools. Meanwhile the kids can enjoy themselves in one of the ski kindergartens. The trained instructors working there are specialised to teach this amazing winter activity in a playful and fun way. Giving the snowboard a try for the first time is also a lot of fun! The wide and low slopes are ideal for practising. 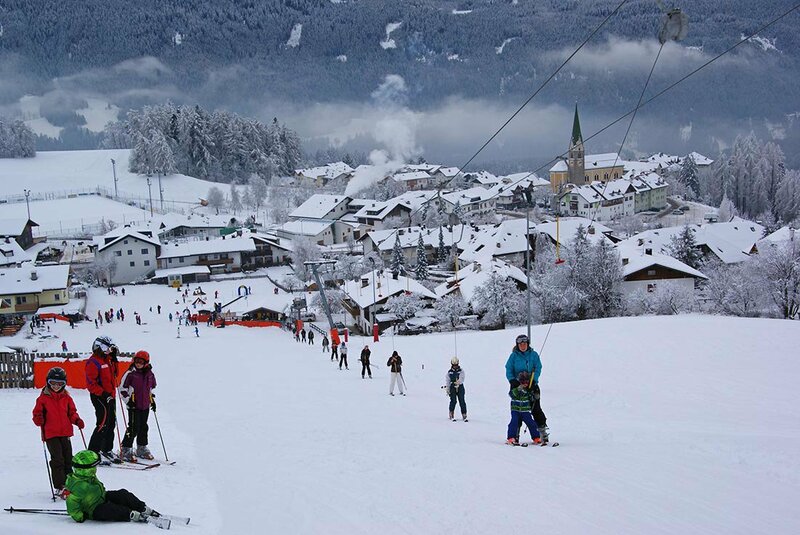 Furthermore, the holiday region Plan de Corones is considered as one of the best cross-country ski areas in the Alps. Both beginners and experts will find countless cross-country trails. In one of the many cross-country ski schools, you can learn the correct movement pattern. But no vacation in a ski hotel at Plan de Corones is complete without an enjoyable toboggan ride. A breath-taking downhill ride on one of the two safe toboggan slopes is the ideal ending of a fantastic day for families with kids.